Charles Wilkin/Automatic’s new book informally connects art, design and the human experience. I’d say I’m made up of 60% artist and 60% designer. How does that add up? It doesn’t really – but for me, the relationship between art and design has never been black and white. Each informs the other. The work of Charles Wilkin is a blend of art and design, an intrinsic relationship of one influencing the other. 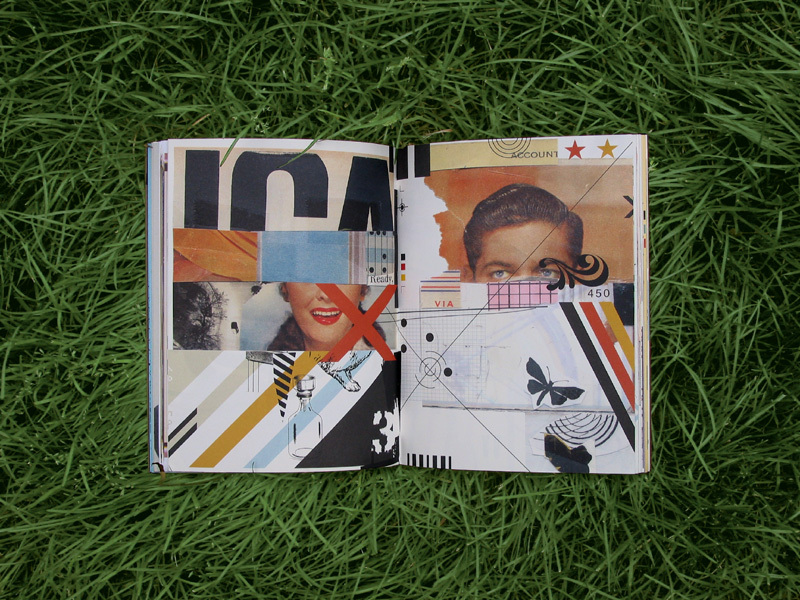 The work in Index-A shows a wide range from thematic graphics to collages consisting of found photography and illustration in hasty-looking compositions. He defines these as personal expressions. His visualizations are reminiscent of Robert Rauchenberg, James Rosenquist, Roy Lichtenstein (all working with stereotype and irony), and the early work of David Carson. Wilkin’s collages are nostalgic and his use of a variety of imagery from the 1950s (such as dated tractors, chairs, guns, and fashion) is sarcastic and ironic at once. The book is broken into several sections which are printed on different stock to denote his different modes of expression. The first section houses the introduction and the foreword, printed in black on blue stock. The second section is printed on gray heavier uncoated stock, and present collages containing a wide range of unrefined drawings and rough ink sketches. 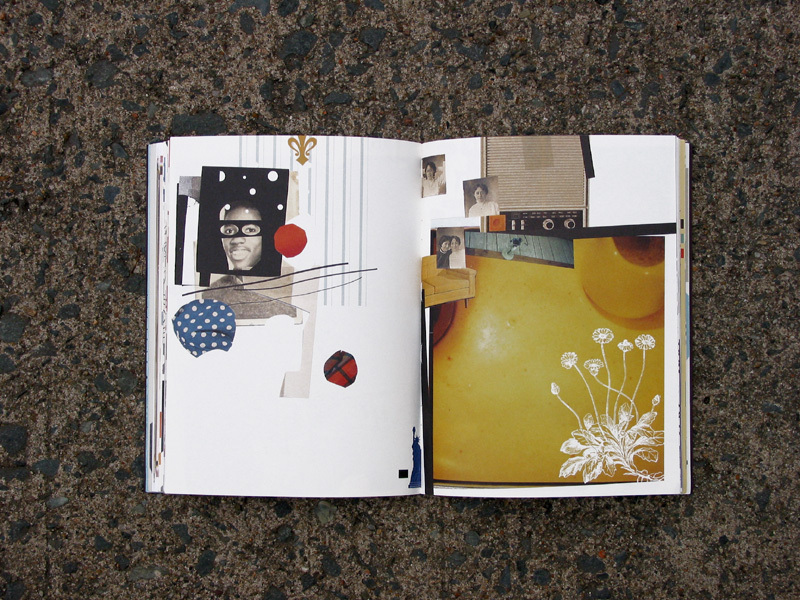 Following that, the next section shows a selection of nostalgic and beautiful photo-based collages, which appear as though they have been fixed with tape to the page. In the fourth section, Wilkin houses the main body of the work. Here we find collages and compositions made up of found objects and imagery, computer generated graphic elements, and drawings. In the next section, Wilkin features mainly heavy line and ink drawing layered over vector graphics. An finally, the last includes vector graphics which appear to be swiss modern, reminiscent of Buro Destruct and The Designers Republic. Index-A is classified as "a collection of ideas, images and intuition; an informal connecting of art, design and the human experience". Without a solid introduction by Wilkin about his meaning and his process, one has to take it at face value. It is what it is. It’s lovely and interesting to look at, but I find it to be a little redundant and less inspiring than I would have hoped. It is glossy, like the excessive illustration found in Wallpaper magazine. Unfortunately it doesn’t hold my interest for long. 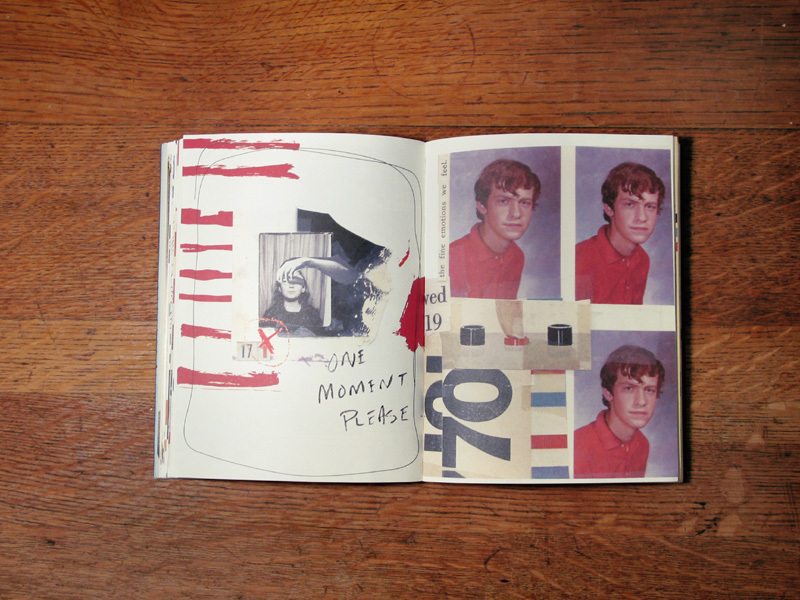 In his foreword, Joshua Berger declares that Charles Wilkin is "walking on the line between design and art." It is safe to say that Wilkin is trying to visually bridge art and design, but in the end things are still gray to me. 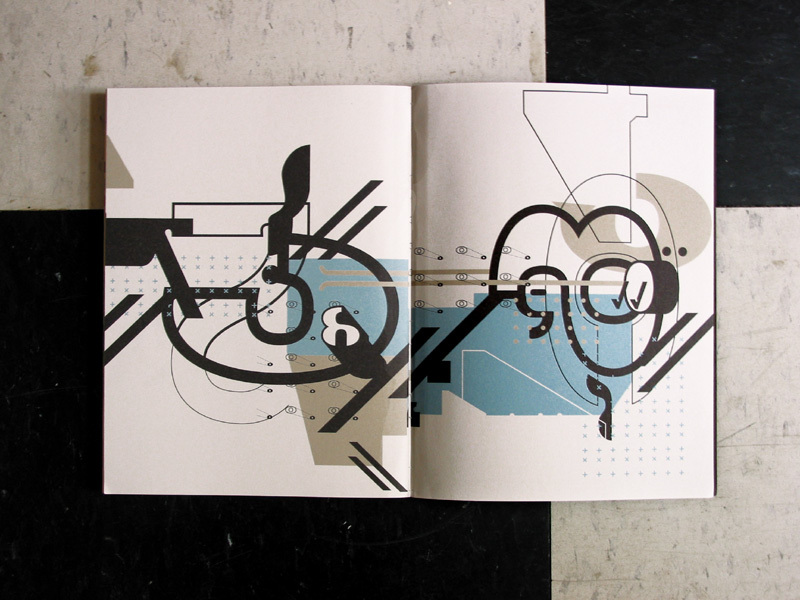 INDEX-A by Charles Wilkin/Automatic (ISBN 3-931126-71-4) is published by Die Gestalten Verlag GmbH.